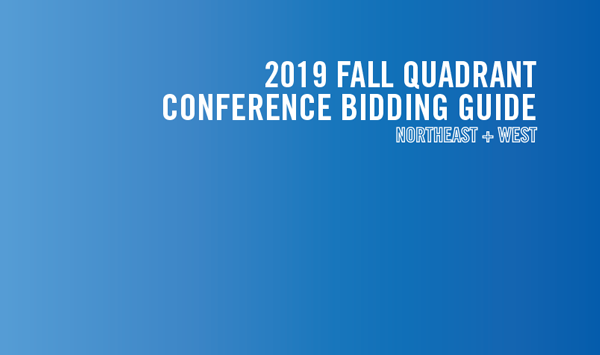 Each year, regional conferences take place annually in the Northeast, South, Midwest, and West Quads. These gatherings, known as Quad Conferences, are hosted by local chapters who have been selected to organize the event by their Quad. Themes vary based on the city, local culture, and architectural topic of choice. 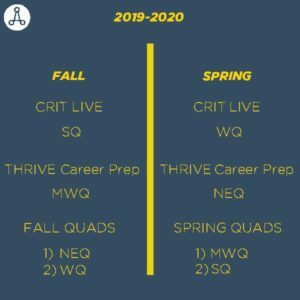 In February 2018, the AIAS Board of Directors elected to bring back the fall quads. You can read more about the decision and the proposed breakdown of regional AIAS events here. The AIAS is currently looking for schools interested in hosting a regional quadrant conference at their university. We are specifically looking for schools in the Northeast and West to bid for the fall of 2019. The deadline to declare your intent to your Quad Director is November 2, 2018. This serves as the first step in the process and as a means to ensuring your chapter understands the requirements and obligations.